After putting up a brave fight against USA in their Group A opener in the FIFA U-17 World Cup India 2017, the Indian U-17 National Team turn eyes to face Colombia at the Jawaharlal Nehru Stadium in the capital on October 09, 2017. Colombia lost 1-0 against Ghana in the opening match of Group A and although the South-Americans are level on points with India (both have zero points), the Indian colts are at the bottom (courtesy goal difference). 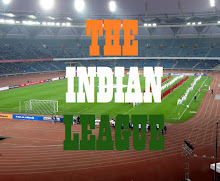 A win for India would propel them to stay in contention for qualification for the next stage of the FIFA U-17 World Cup. But how will be India’s performance against Colombia be different from India’s 3-0 loss against USA? “Against USA, we had a nervy start and the players were shy and could not play their game against a team of the quality of USA. It was their first match ever in a FIFA World Cup and emotions can be a little hard to control when you play in front of 55,000 people for the very first time,” Matos pronounced. Meanwhile, the boys are all geared up for the next challenge. “Winning and losing are part of football. What matters is how well we recover ourselves and learn from our losses and continue to move forward,” said Komal Thatal. “We have already created history by becoming the first Indian team to participate in a FIFA World Cup, now we want to create history by becoming the first Indian team to win a match in the FIFA World Cup”, informed Rahul K.P.